A Penny-wise thought…What’s in a Name? Isn’t that the statement! 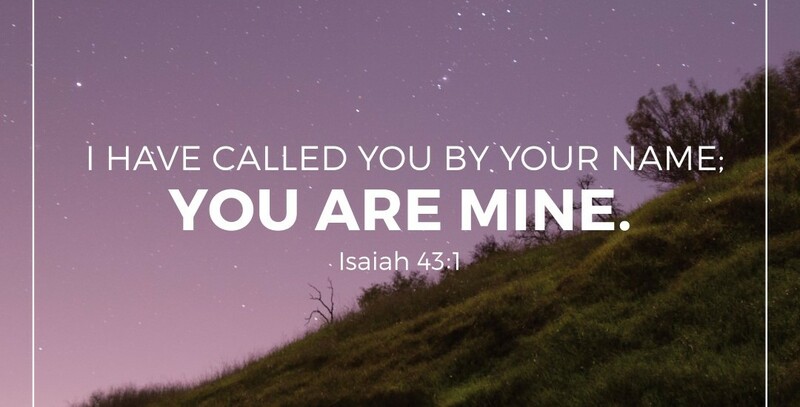 God has called us by our name and we are His. I was curious: what does the name Penelope mean? I started by searching “What does Penelope mean?” and reading the descriptions. I suggest you do it for your own names too (don’t forget your middle name!). You might find some pleasant surprises. Penelope means faithful, weaver, intelligent, wise. In Homer’s Odyssey, Penelope was the wife of Odysseus. She was faithful to him for the twenty years he was away. She kept suitors at bay by pretending she had to finish weaving a burial shroud for Odysseus’ father before she would choose a suitor. I like to weave stories. People with this name have a deep inner desire to create and express themselves, often in public speaking, acting, writing or music. They also yearn to have beauty around them in their home and work environment. I can see myself in this description. Perhaps others who don’t have the name Penelope can see themselves as well! Now, to turn this around, what names does God call us? We’re the apple of His eye (Psalm 17:8), a friend of God (John 15:15), God’s handiwork – or work of art, or masterpiece (Ephesians 2:10), God’s treasure (Deuteronomy 7:6), His sons and daughters (2 Corinthians 6:18), heirs of God and joint-heirs with Christ (Romans 8:17), and His beloved (Song of Solomon 2:16). Can you find more? What’s in a name? A whole character description – from the names we were given at birth, to the names God has lovingly called us.